We are proud to announce our exciting new partnerships with Microsoft: Microsoft Azure BaaS & Microsoft BizSpark Plus! Azure is Microsoft’s growing collection of integrated cloud services: a collection of powerful solutions for analytics, computing, database, mobile, networking, storage, and web technologies. We are excited to be added as a partner the Azure Blockchain as a Service(BaaS) platform. This partnership will benefit Microsoft and Expanse users alike, facilitating powerful solutions leveraging the services of Azure with the power of Expanse’s blockchain. 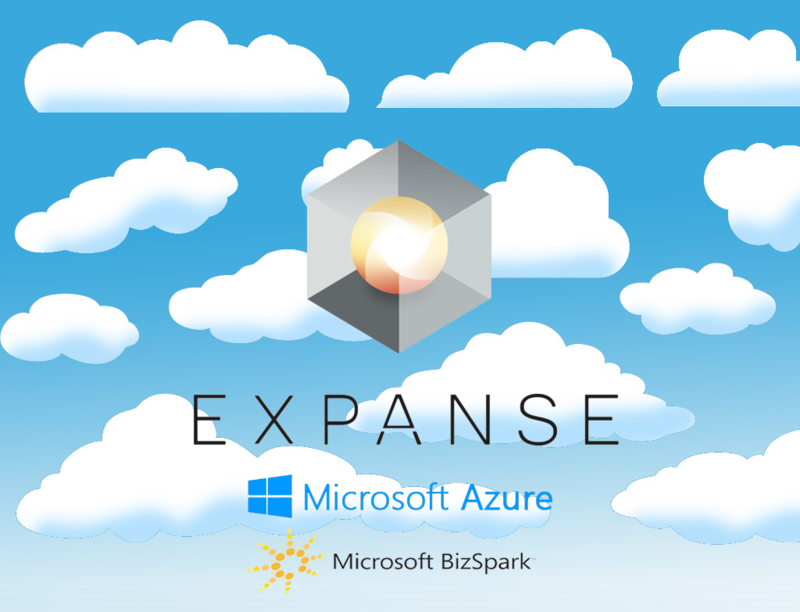 In addition to the Azure BaaS partnership, Expanse has been officially selected as a member of the Microsoft Bizspark program. The program is designed to stimulate vibrant local software ecosystems and promote innovation and interoperability. As part of the partnership, Microsoft will be contributing 120,000USD in software and services, as well as a vast collection of other professional resources to the Expanse project. We are enthusiastic about what the future brings from this partnership, and devoted to continuing to seek out the absolute best partners whom support community based blockchain solutions.